Share offer document for reference only – the share offer is now closed. The turbine we have selected is a WTN 250. This is a very sturdy 250 kW machine, with over 150 operating worldwide. The turbine has a hub height of 30m, a blade length of 15m and is made in Northern Germany. 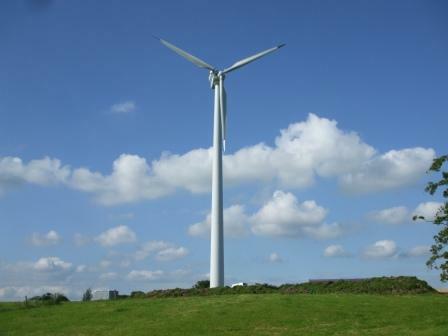 All turbines available to the UK market were assessed before coming to this choice.